There are two environments the Iskra family grew up in – logging and farming. Before I left for boot camp, I grew up around my grandparents’ farms in Washington state. Valroy Williams grew up in Queens, New York. Before I was strong enough to lift hay bales, I would run along the trucks and knock over the bales to make them easier for the adults to throw them on the trucks. For Valroy, there’s not a hay bale for miles near Hollis, Queens. Somehow, somewhere, Valroy and I switched places.To this day, my favorite place in the whole world is at my grandpa’s spread in Washington state. Nothing beats waking up, having a cup of coffee, looking down the hill at the Humptulips River, and enjoying the sound of complete silence. Now, I’m in the middle of the DC grind and Valroy is grinding out a living on his own farm. 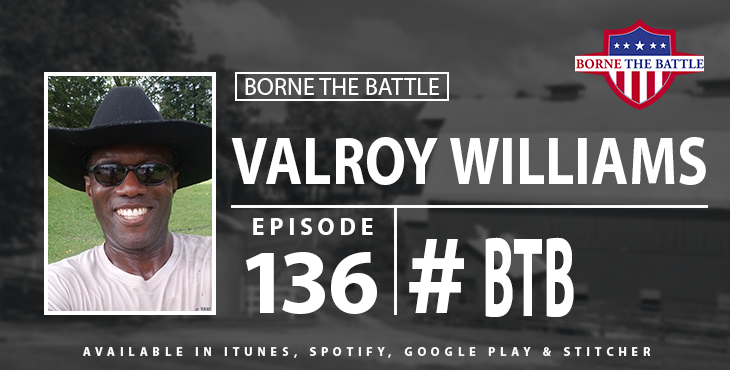 In 2018, Valroy Williams opened Beyond Worth Farm in Red Springs, NC. So, how does a Navy submariner from Hollis, Queens, New York, become a farmer in North Carolina? That is exactly what episode 136 is about. After over 30 years of dedication between the Navy and Army, Valroy Williams opened Beyond Worth Farm in Red Springs, NC. His farm produced beef, poultry, eggs, and goats, plums and a variety of other things that he plants into the ground. Valroy doesn’t advertise and gets his business complete from word of mouth. In this episode we talked about his service, how he learned to farm and the camaraderie of the Veteran farmers in his region. I grew up right next to my grandpa’s farm and I miss aspects of the farming lifestyle. I feel like I flipped environments with Valroy. What is the latest update on VA Appeals and open claims on Agent Orange?